The open information day for call 2 (i.e. phase 2) of the Future Internet Public-Private Partnership (FI-PPP) aimed to provide all information potential proposers need to prepare a proposal for the call 2 was held today in Aalborg (Denmark). The FI-PPP phase -1 projects were presented. 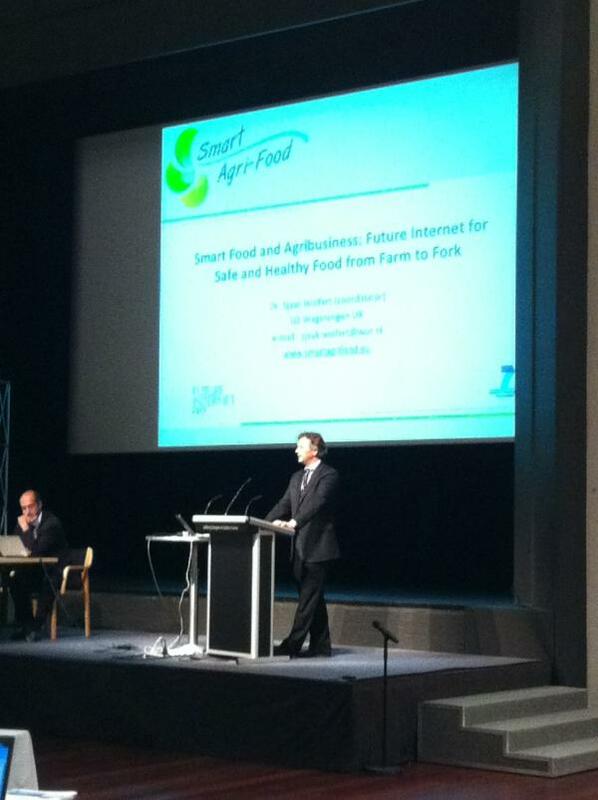 SmartAgriFood was sucessfully presented by the project coordinator Sjaak Wolfert. SmartAgrimatics conference was announced at the end of the presentation.